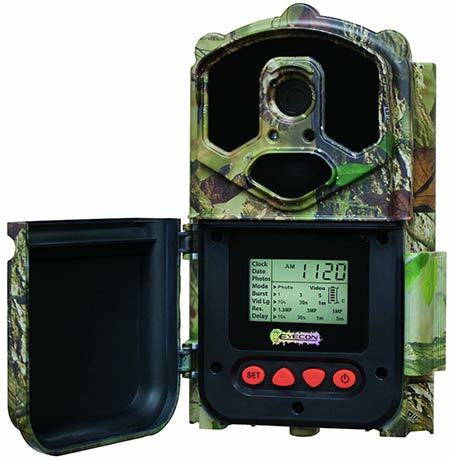 The Big Game Eyecon Black Widow is a pretty good trail camera for its price. It has a lot of features to offer, even having some options that can be found in cameras that cost twice. This camera has a quick trigger time, enabling it to clearly capture movements along its path. This prevents object from being out of frame. This camera is also user friendly and easy to set-up. One excellent thing about this camera is that it comes with an “Invisi-Flash.” It has no a no glow flash which makes it undetectable. Because of this, wildlife will not be scared away at night. Aside from this benefit, this feature of the Big Game Eyecon Black Widow trail camera can also be used for security purposes. If you don’t require an invisible flash, I recommend you check out my Browing Strike Force review. This camera has a good enough battery life so that you will not miss opportunities. It takes good quality daytime photos, although sometimes the wind and brush may affect its result. Any problems I should know about? However, the night photos are not as good as the daytime ones. This can be expected, though, as lighting takes a vital role in the quality of the photos taken. Also, there is no time lapse option available in this camera, something that may be disappointing to some. All in all, the Big Game Eyecon Black Widow is a strong functional trail camera. However, you may also want to view other options available in the market before settling for this as you may find something else that will suit you more. For my personal favourite check out the Moultrie M1100i review.